The clinical environment characteristic of nearly all long-term care facilities for people suffering from dementia is known to be a contributor to disease progression, as the loss of the ability to make their own decisions and living a life filled with constant reminders of your condition and no hope expressed makes patients suffer even more, and patients spending their last years or months in such nursing homes usually die faster. 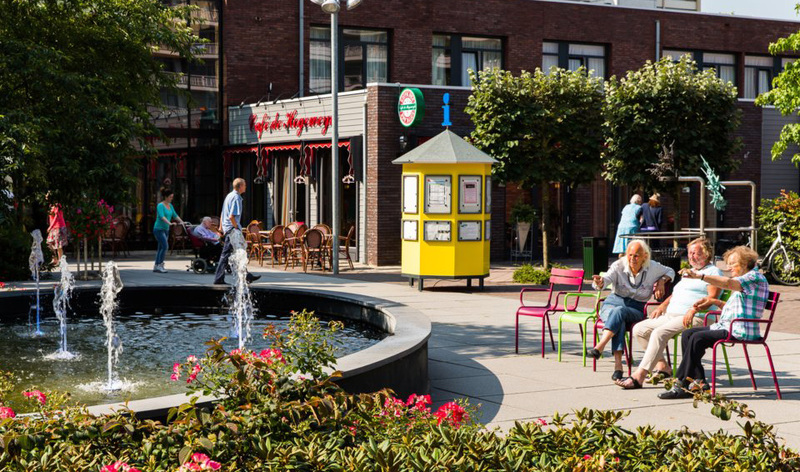 The Dutch approach to caring for people with dementia that has recently made headlines breaks the mould: in Hogewey, a stone’s throw from Amsterdam and part of the town of Wheesp, the rules are different. Not only can its inhabitants live normal lives, but they also feel better due to having more opportunities to walk outdoors and do things they would otherwise be unable to do in conventional facilities of the kind. There is only one gate, though, for safety reasons. All residents of the village suffer from an advanced form of dementia, which means their cognitive function is impaired significantly, and they have difficulty caring for themselves, buying food, paying the bills, and doing other chores that require mental efforts. However, they are not left to their own devices: the entire village is a nursing home in disguise. There are 23 houses in which around 150 patients live. Each home accommodates 6 to 7 residents, with one caretaker to monitor and help them with their activities. Just like any other settlement, Hogewey has its own village market, theater, pub, parks, square and even theater. With 250 staff members working as gardeners, post office clerks, cashiers, etc., the village inhabitants feel as if nothing really changed – they still have an opportunity to buy the foods they like at the local store (there is no real currency, as patients are usually not lucid), enjoy their weekly game of bingo, and even drink a glass of wine at the pub. All these staff members are actually specially trained nurses and professionals who are ready to give them a hand should such a need arise. 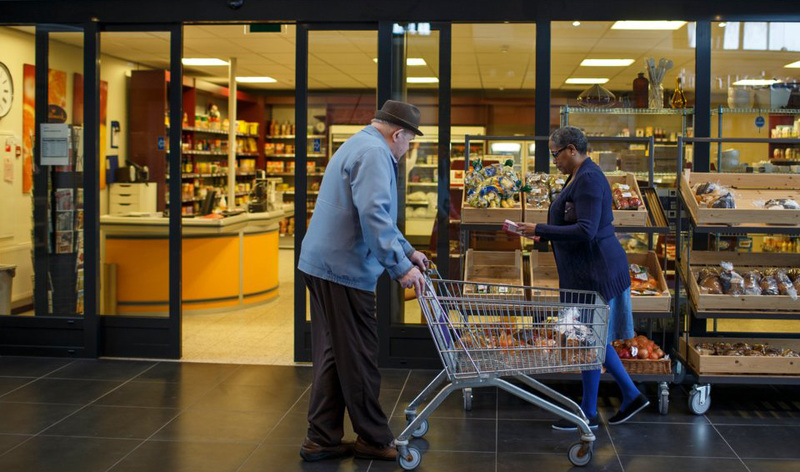 In Hogewey, residents are considered not demented people, but people with dementia, which really makes a difference: treated like persons, they feel better and are not stressed to the extent they usually are in hospital-type facilities. While a nursing home, even such a good one as Hogewey, is not a place everyone wants to find themselves in, this approach to caring about patients suffering from dementia has been praised in many countries, with more people and organizations following their example. It must also be noted that the cost of such care is quite affordable, compared to the one seen in the U.S. An average daily cost of a private room in a common U.S. facility for this kind of patients makes up around $250, which means a month is worth $7,500. A month is Hogewey is rated at $8,000 a month, but a significant share of the price is paid by the government. Your “deductible” depends on your family income, but regardless of how much you earn, the cost does not exceed $3,600. It makes Hogewey not only effective and efficient, but also affordable. Such projects are definitely beneficial, but their implementation requires considerable investments (Hogewey cost $25,000,000 to build, for instance), and it takes a socialized healthcare system to make the system function. As it is not the case in the U.S., it would be extremely difficult to establish such a settlement in our country.